Hey, I was wondering if anybody knew the possibility of Centaurs being brought up to 8th gen. I'm still hesitant to purchase a package. 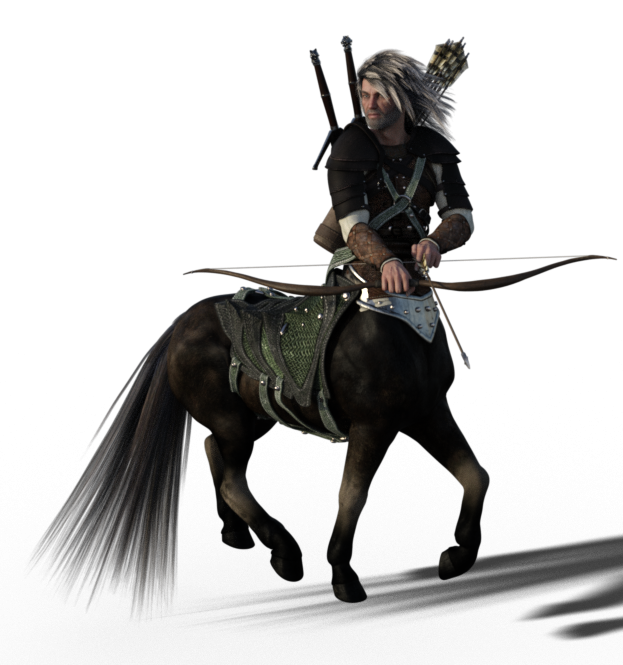 I only recently started using Daz Studio, and would love to play around with the centaurs. I ALMOST bit when they went on sale earlier this month. With my luck, I'd finally bite the bullet, only to see an 8th gen version drop the week after. So I thought I'd start a discussion board. Seems like centaur stuff has been going on sale a lot. Is this because it's popular, or because it isn't popular and they're trying to make back development costs? Because I've been focused on 8th Gen, I've got a wide libary of 8th gen models, and only a couple 7th gen. If I did pick up the centaur pack, I'd need to nab a few more models, so you can see why I would want to gather some info. That starts to get expensive. Since I like to kitbash a lot, and have been learning how to get older clothes working on new models, I've got a nice variety of gen4-7 clothing/hair/props. And hey, I can always nab that nifty Gen8-Gen7 clothing converter! Centaur seems to be one of those few packs where it makes sense to go with the pro package. The poses and mat options make it fairly attractive, and it seems to me that they are packaged to MOVE. Getting the base package would just leave me wanting more, and I wonder if the "Base" horse skin option was chosen so the buyer would want to pick up the add-ons ASAP. I know this is a bit of a ramble, and I do apologize. I figured I'd bring up as many talking points on the subject as I could, and see where the discussion goes. A) Do you think a Gen 8 Centaur is likely to drop this year? B) Is the frequent sale on Centaur items due to popularity, or is it an effort to recover losses? D) Don't you think dresses on a Centaur lady are a little silly? Wouldn't it make more sense that a dress would cover the entire horse half? E) Do you think a Centaur would find offense at the suggestion that they be ridden? F) Anybody figure out how to put together an "Andalite" from Animorphs yet? I got onto a bit of a centaur kick lately. Been panting miniatures, and I created a backup character for my D&D games that's a Centaur Berserker. I'm sorely tempted to get these packages next time they go on sale, but been having some trouble finding first-hand accounts on them. Seriously, thought a bit of a silly forum post would be fun. Being a fan of all things Mythology, Sci Fi and Fantasy, i'd certainly like to see it. And more of the same Genre too. Nobody knows what the Daz knows, lol. I expect somebody to figure out some kind of converter to allow use of Gen8 models. Been seeing all sorts of converters pop up. My former cover artist told me they were a waste of time, since old clothing props weren't worth the time/weren't as pretty/insert other BS here. I do not regret learning the software for myself. It's been a blast! I see that a lot of folk play the "The generation I prefer is the greatest" game, which is vaguely like Edition Wars with the D&D crowd. My, I came in just this October, and Genesis 8 can be made to work with just about every gen4-7 item out there with a bit of work. So it made sense to focus on it. Granted, I did get the Ivan 7 and Mika 7 Pro Bundles with the release of Eva 8. That was a heck of a good deal. And PC+ has paid for itself a few times since I signed up. The Centaur is special indeed! I've been resisting thus far only through sheer force of will and the constant reminder that it isn't relevant for current projects. The last few pay cycles, I've been focusing on items to do book covers with, and I have yet to write anything featuring a Centaur. Though that's bound to shift a bit when I buckle in on work for the Table Top RPG I've been noodling on. I'm pretty much in the exact same position, dragonreborn. Started with DAZ recently, focused on G8. I too am hoping for a Centaur 8, but my feeling is that it won't happen. Minotaurs skipped the Genesis 3 generation, and the one available for Genesis 8 is not an "official" one either. 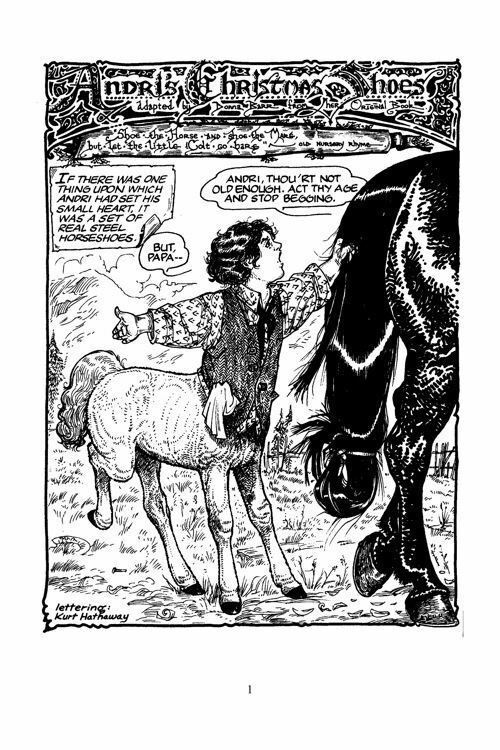 So, if these creatures always skip a generation or two it wouldn't make sense for Centaurs to show up again so soon. My plan is to be patient and wait until Genesis 9 comes out. By then we will either have a Centaur 8, or I can still purchase Centaur 3. Genesis 3 products should also go on sale more often by then. That will only show images in the Daz Galleries, most will be images of centaurs, and everything will be in compliance with Daz's TOS. No need for Safe Search. Welcome to the wonderful world of Daz! In general, aside from Mike, Vicky, Aiko, and the Girl very few official Daz characters appear in more than a couple of generations. Monsters seem less likely to do so, but there is always a first time. I would not be put off by the Centaur being a G3 character as the actual differences between G3 and G8 are minimal. If you can pose one, you can pose the other once you account for the differences between the A pose and T pose. You may find a better sale on Centaur 7 either during March Madness sales or in the more major sales that occur towards November and December. Both Pro and Beginner bundles also sometimes are available as freebies (for older generations) so you might eventually pick up the Centaur for low or no cost if you are patient. Good luck!! I like the 'dress only on the human part,' but I really love the Stinz comic, where it's the style. I would like to see a G8 centaur BUT only if they design it differently and change the transition area bewteen the horse body and the figure. The G3 version is way to high in the front, I finally picked up the GF3 version on sale awhile after it was released thinking I could change this, but no luck and I still haven't done a render with it. Rawarts Rheena for Centaur 7 Female is so much closer to how it should be, but I remember reading a forum post that you couldn't use any other skins on that one and that was a deal breaker for me. I hope if they DID do a G8 version, they would make use of my Oso Blendy. It's a much easier way to do transition textures without all the geoshells and whatnot (IMO). Only a few of the classic human models go beyond 3 generations, & most of those are just a single generation. When it comes to non-human models*, those go many generations between updates, if any. Most Daz animals were originally generation 3 I believe--& only a few have been updated. The previous centaur model was generation 3 or 4 and many people still use Genesis 3 for several reasons, so C7 is still a viable product. In past years Daz used to make a nice little compliment of animals. Noggin took it to new levels and released a bunch that Daz never covered. These days most animals are done by PAs (and by that I mean really one one PA) because either Daz doesn't have the motivation, the staff or the time to do them...not sure which...lol. As for mythical creatures, Daz never really did do all that many; the old merman, the dragon, but even then PAs were picking up the slack in that area. For monsters and mythical creatures I prefer the PAs to be honest, because I imagine Daz can't possibly do a better job than Rawart, Josh Crockett, Hershel, Midnight_Stories and others already do. It's nice to have official versions of the Centaurs, but I didn't think all that much of them really if I'm brutally honest ;). I would agree with this if the PA offerings were that much more better than what DAZ puts out, but they tend to be much more specialized to fit the PAs style more than actually better many times. This can be a great thing for those that like that style and not a great thing for those that don't as opposed to having a much more middle of the road base version that can be taken to other extremes by the user instead. While I appreciate what the PAs come up with, I would appreciate it even more if I could add or take away parts to suite "my" needs more and some times this just isn't the case, at least not without a ton of extra work. Just because a PA has their creative visionn of what the end product might be, doesn't mean everyone will share it and might want to make some changes and their product should be able to accomodate that. Luckily some do. We still haven't seen new DAZ produced versions of the humanoid creatures produced for Genesis 1 (Groilla, Troll, DAZ Monstrosities) or 2 (Reptililan, Minotaur), so I doubt we'll see new Centaurs anytime soon... especially since there have been no upgrades to the equine side since Horse 2. I suspect that we will see one or two more not-human figures before the Gen 8 run is done, but I'd bet on an elf or yet another fairy type as the most likely candidates. Good point. On the other hand, if Daz gives us a Horse 8, we might just see a Centaur 8 to go with it. Or maybe, Horse 9 and C9…? I've actually adapted C7 with blendy, but you need to play around with settings to get everything to match right. Things like this were a big reason I developed it in the first place, and I hope when other PAs develop content along these lines they consider using Blendy. 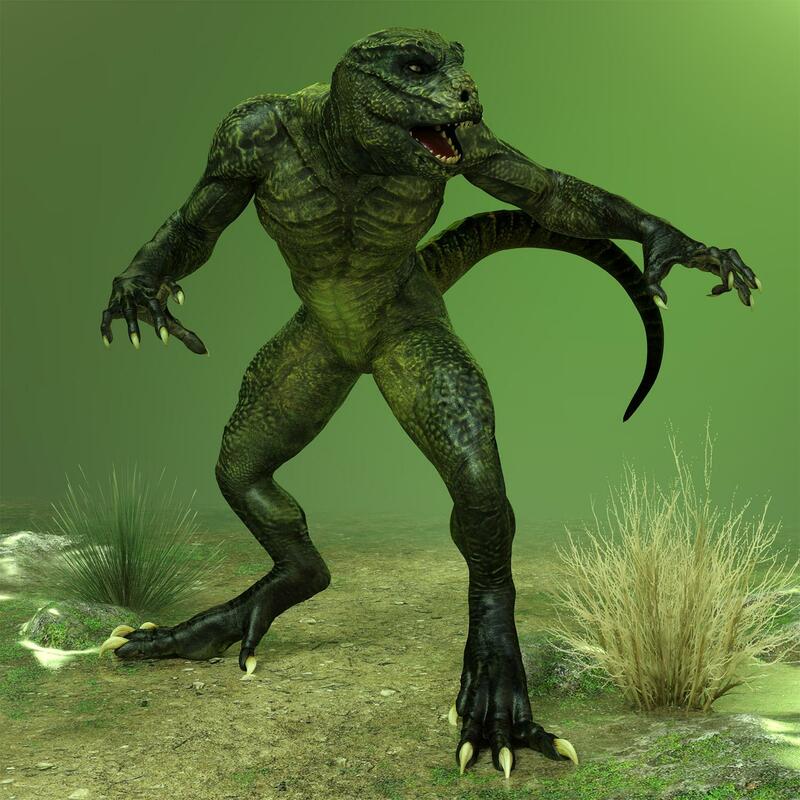 Wish we had been given even a Reptilian 7... :( From what I recall, the G2 version was meant to have sold well enough, but nobody ever made Iray textures for it. I don't have the time to read the whole thread so it's probably been mentioned, but you can make the Centaur work with G8 as long as you don't mind making a few minor tweaks. If you change the Scene Identification of the Wearable "Centaur Additive" to Genesis 8 you can fit it to Genesis 8. You'll need to pose the G8 Legs to hide inside the Centaur body and hide the legs in either the Scene Tab or the Surfaces Tab. Here's Zelara 8 with the G3F Centaur wearable. It looks really good. That's encouraging. Ohhhh... is there a tutorial for dummies somewhere? ANSWER to question (E) : only if you try to ride without permission!! Thats a stand alone figure not based off any of the Genesis series. Except from the base pose shifting from T to A I don't see much difference between G3 and G8. Fibermesh brows got more common lately, but you can have that with G3 and Brow Remover as well. The other annoying change is the removal of the heel bone. If those two things had remained the same, fitting clothing between the two generations would be a whole lot easier. (The cynic in me thinks that might just have been the point!) However, there are a lot more bones in the G8 face, making it much easier to get subtle expressions. I actually almost bought that myself only reason I didn't .. and don't get me wrong... I own alot of Raw's stuff. It looked too much like Patrick Sawyse in drag. Actually hoping he puts the dog world foxes out in his G8 rebuilds truthfully. Been wanting to do redo the gryphon I did with his morpohs. BTW. The way around the G8 to G3 is using a morph transfer script. Example with the male..
Hmm apparently won't let me link from my gallery. Lots of nice work, I'll have to try it. If there were a centaur for G8 M or F, I'd feel guilty buying them. I got the G3M and G3F Centaur ProBundles for free several months ago in one of those 'buy something and get 2 bundles free' or something close. I picked these cuz I had the other bundles except the toon stuff, and I would never ever. So I'm pretty commited to these and even though the new ones would no doubt kick *ss, I have to take a hard pass. I can't remember where in the thread but there is a morph transfer script in the Sakura 8 thread that I use that works well on gen 3 and 8 back and forth.